MONTREAL -- The Canadian Transportation Agency has ordered Sunwing Airlines Inc. to compensate more than 16,000 passengers and pay a $694,500 fine due to widespread service problems sparked by an ice storm that hit Toronto one year ago. The transportation watchdog said Monday that blizzards and high winds triggered problems on 96 Sunwing flights between April 14 and April 18, 2018, but that the low-cost carrier's control centre "took a relatively hands-off approach" to managing the disruption "as the situation on the ground deteriorated and the backlog of flights grew." The Toronto-based airline failed in many cases to provide meal vouchers, hotel accommodations, refund or cancellation options, or food and drinks during tarmac delays that, in one case, lasted more than six hours, the CTA said. On 15 flights, Sunwing also breached rules that require it to give passengers the opportunity to disembark after 90 minutes on the tarmac. Other flights were plagued with "systemic communication breakdowns" between the airline and its baggage agent, Swissport, and Sunwing failed to provide "consistent" updates on their flight status, the regulator said. 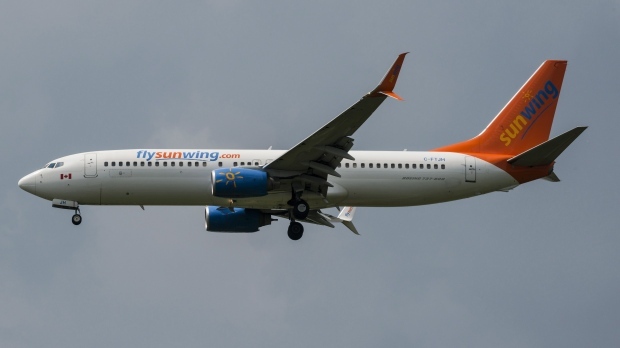 In contrast to other carriers, Sunwing did not cancel any of its flights in or out of Toronto and Montreal, a choice the agency blamed in part on the company's "business model," which focuses mainly on vacation destinations. Toronto's Pearson airport saw about 600 flight cancellations in 48 hours. "To my knowledge there was no such drama for other airlines," said passenger rights advocate Gabor Lukacs. "It was rather nasty." Lukacs welcomed the agency's findings but said he was "disappointed by the slap-on-the-wrist penalty," questioning why the airline was fined $2,500 per flight instead of per passenger for each type of violation. "The designated enforcement officer used her discretion in calculating amounts on a per-flight basis, except for tarmac delays, which were on a per-passenger basis," the CTA told The Canadian Press in an email. The agency said it received roughly 20 complaints about other airlines between April 14 and April 18, compared to 574 about Sunwing. "This is a significant determination for air passengers and air carriers. It underscores that passengers have rights and recourse when their air travel is disrupted, and that even when problems stem from events such as bad weather, there is a minimum standard of treatment to which all passengers are entitled," agency chair Scott Streiner said in a statement. The regulator ordered Sunwing to prepare a contingency plan for future cases of major flight disruption. The airline must also update its protocols for lost or damaged bags to align with the Montreal Convention, an international treaty on air passenger rights. 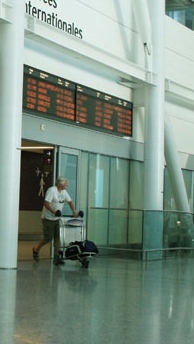 "While Sunwing's charter business model differs from scheduled airline carriers in that we delay flights instead of cancelling them so that we can fulfil our obligation to pick up customers in destination, we have taken measures to lessen the customer impact by proactively delaying flights when disruptions are anticipated so that people can rest in the comfort of their home or hotel instead of the airport," the company said in an email. Get the latest traveller news and updates from official sources, including the government of Canada, Toronto Pearson International Airport, and Billy Bishop Toronto City Airport.